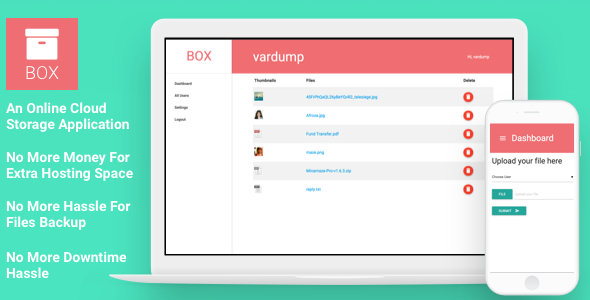 Box is an online cloud storage application based on Laravel. This will help you to create a custom cloud storage file manager for your team, your office or even start your own cloud storage business. Now you donâ€™t need to pay a single penny to buy cloud storage (e.g. Dropbox etc.). Make your own cloud storage using 3rd party cloud storage service.